The April 2015 issue of History of the Human Sciences is dedicated to “Vygotsky in His, Our and Future Times.” Guest edited by Gordana Jovanovic, the special issue includes a set of introductory reflections from Jerome Bruner on “The Uneasy Relation of Culture and Mind.” A further 10 articles explore various aspects of Vygotsky’s life and work, including the role of history in his work, an examination of the ban on his works in Russia, and his time as a theatre critic. Full titles, authors, and abstracts follow below. Guest editorial: “Vygotsky in his, our and future times,” by Gordana Jovanovic. No abstract provided. Introductory Reflections: “The uneasy relation of culture and mind,” by Jerome Bruner. No abstract provided. The aim of this article is to explore the ways and forms in which history is present, represented and used in Vygotsky’s theorizing. Given the fact that Vygotsky’s theory is usually described as a cultural-historical theory, the issue of history is necessarily implicated in the theory itself. However, there is still a gap between history as implicated in the theory and an explicit theorizing of history – both in Vygotsky’s writings and in Vygotskian scholarship. Therefore it is expected that it would be fruitful to shed light on some possible pathways that can bridge this gap. The prevailing theoretical role of history in Vygotsky’s theory is to serve as a general framework which provides tools for the development of higher psychic functions. Thus, history is recognized as a formative context of psychic life. 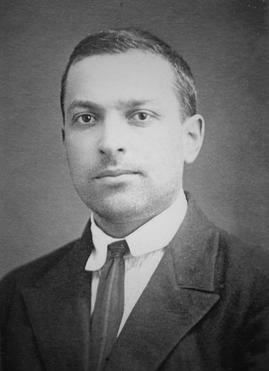 Further, history appears in Vygotsky’s writings also as a projected better future. All these uses of history presuppose an idea of history as linear progress. But Vygotsky also argues for a stronger epistemological claim – that history is the most powerful explanatory principle. After conceptual and theoretical reflection on history, some limitations of Vygotsky’s historicizing of the history of psychic development will be pointed out and related to general epistemological problems of historicizing. Finally, Vygotsky’s cultural-historical theory, an edifice built up in the 1930s but relying on the rich philosophical and psychological legacy available up to that time, will be positioned against the pluralistic, postmodern and hermeneutic turn in contemporary social and human sciences.